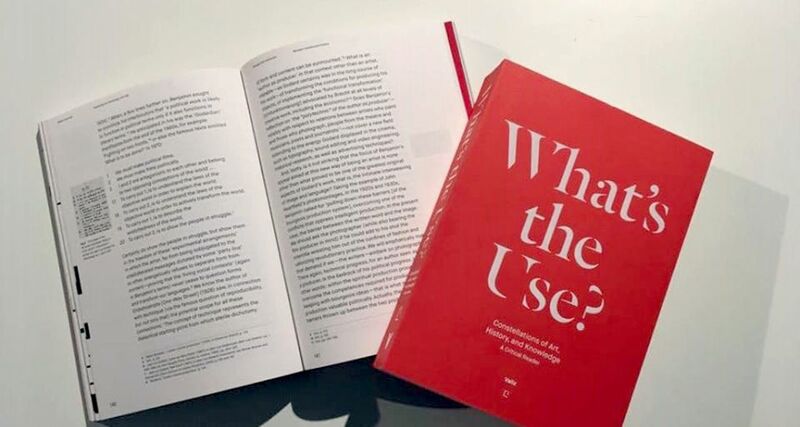 BOOK OF THE MONTH | Stojan Kerbler & What's the Use? In November we highlight two publications. 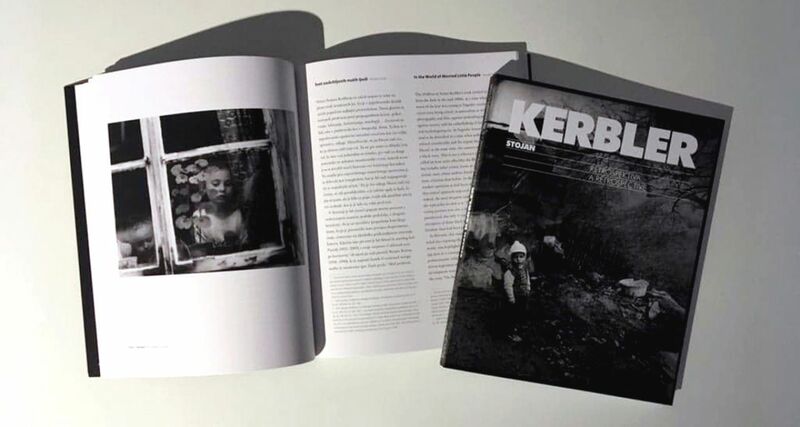 Stojan Kerbler was published on the occasion of the artist's retrospective exhibition at Moderna galerija. A critical reader What's the Use? Constellations of art, history, and knowledge was published on the initiative of L'internationale confederation. Kako razumemo možnosti umetnosti, da razume svet? Je umetnost le umetnost v kolikor zavrne koristnost? Ali pa lahko umetniške prakse služijo širšemu namenu v svetu? Zbornik v začetku izhaja iz predpostavke, da je umetnost integralni del družbenih, gospodarskih in političnih procesov. Umetnost je bolj kot 'stvar na sebi' bolj ustrezno razumeti v dialogu z družbeno sfero. S kartiranjem raznolikega terena primerov in idej, knjiga raziskuje zapletene medsebojne povezave med umetnostjo, uporabo, zgodovino in znanjem. What's the use? A Critical Reader je stranski produkt razmislekov pet letnega programa The Uses of Art ‘The Legacy of 1848 and 1989’ v okviru konfederacije muzejev L'Internationale, izhajajoč iz treh razstav (v Van Abbemuseum in v Muzeju Reina Sofia) in konferenco (Univerza Hildesheim), ki so potekali med leti 2012 in 2014. Authors: Nick Aikens, Christina Aushana, Zdenka Badovinac, Manuel Borja-Villel, Tania Bruguera, John Byrne, Jesús Carrillo Castillo, Christina Clausen, constructLab, Tamara Díaz Bringas, Georges Didi-Huberman, Charles Esche, Annie Fletcher, Lara Garcia Diaz, Liam Gillick, Melinda Guillen, Jeanne van Heeswijk, Alistair Hudson, Thomas Lange, Li Mu, Wendelien van Oldenborgh, Trevor Paglen, Manuel Pelmuş, Emily Pethick, Alexandra Pirici, Laurie Jo Reynolds, Adrian Rifkin, John Ruskin, Lucía Sanromán, Catarina Simão, Sara Stehr, Subtramas, Steven ten Thije, WHW (What, How & for Whom), Stephen Wright, George Yúdice. How do we understand art's possibilities to know the world? Is art only art insofar as it refuses to be useful? Or can art practices serve a wider purpose in the world? This reader starts from the premise that art is an integral part of the social, economic, and political process. Art is best understood through its dialogue with the social sphere, rather than as a ‘thing in itself’. By mapping a diverse terrain of examples and ideas, this book explores the complex interplay between art, use, history, and knowledge. The contributing writers and artists—such as Georges Didi-Huberman, Tania Bruguera and Stephen Wright—demonstrate how in past and contemporary practice these relationships are set up and played out. What's the Use? A Critical Reader is a strand of thinking within the five year programme The Uses of Art ‘The Legacy of 1848 and 1989’ by the museum confederation L’Internationale, drawing on three exhibitions (at the Van Abbemuseum and Museo Reina Sofia) and one conference (Hildesheim University) held between 2012-2014.